On a sunny Sunday afternoon at Stanborough Lakes, the Hatfield Practice team were out in the community working hard to help the Willows foundation charity cycle ride. The event hosted over 600 cyclists and provided a welcoming end of ride welcome. Special guests included ex international and Arsenal professional goalkeepers Bob Wilson and David Seaman! 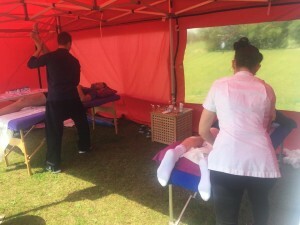 Practitioners Chris and Marcella met and treated a large group of cyclists who had finished the 25, 60 or 100 mile ride on a route throughout the beautiful Hertfordshire countryside for a small donation to charity. 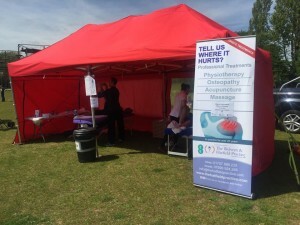 A number had cyclists had a variety of problems such as cramp, stiff legs, back pain, neck pain and were able to receive some great professional advice and hands-on treatment from the chartered Osteopaths from the Hatfield Practice. Anyone interested in looking into this fantastic event, more information can be found here. 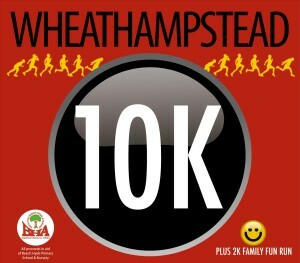 We are looking forward to our next event in the community this Sunday 17th at the Wheathampstead 10k charity run. 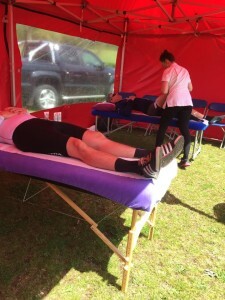 We will be providing Osteopathy, massage and professional advice for all participants. More information the event and how you can get involved next year can be found here.